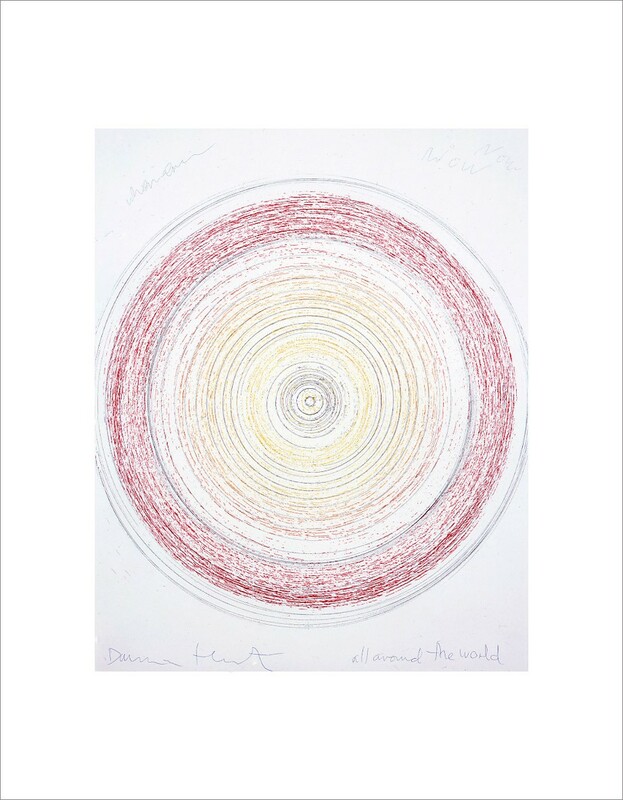 In 2002 Damien Hirst created In a spin: the Action of the World on Things, Volume 1 a portfolio of etchings taking his concept of spin drawings and paintings into the print medium. The complex and lengthy process was characterised by a high degree of physical intervention at every stage by the artist, sometimes to a physically dangerous degree, as the copper plates, fixed to the spin machine, rotated at alarming speeds. 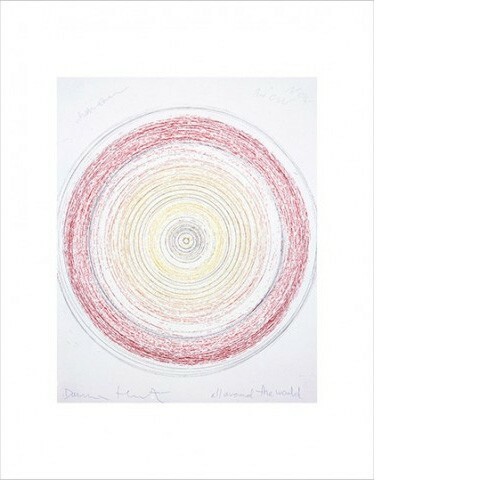 Working closely with the printers, Hirst set colour guidelines then made a final selection of etchings, offering a customised portfolio of work that had stretched the etching medium to its limits. A spin etching, printed on 350gsm Hahnmuhle paper from the portfolio In a spin: Action of the World on Things, Volume 1. Published by The Paragon Press, 2002. Damien Hirst (born 7 June 1965 in Bristol, UK) is an artist of global reputation. Hirst first came to public attention in London in 1988 when he conceived and curated Freeze, an exhibition in a disused warehouse, which showed his work and that of his friends and fellow students at Goldsmiths College, London. He is now seen as the most prominent member of the group known as the Young British Artists (or YBAs), who dominated the art scene in Britain and elsewhere during the 1990s. Notable for his energy and inventiveness, Hirst has produced a dazzling series of challenging works as installations, sculpture, painting and drawing that have propelled him to international fame over some 30 years. His long-established interest in themes of death, science, religion and love were manifest in the first retrospective of his work in a British institution in 2012 at Tate Modern, which attracted over 400,000 visitors, a record for the museum. The year 2017 was marked by a major exhibition in Venice to coincide with the 2017 Venice Biennale, titled ‘Treasures from the Wreck of The Unbelievable,’ which was ten years in the making.